The LL.M. 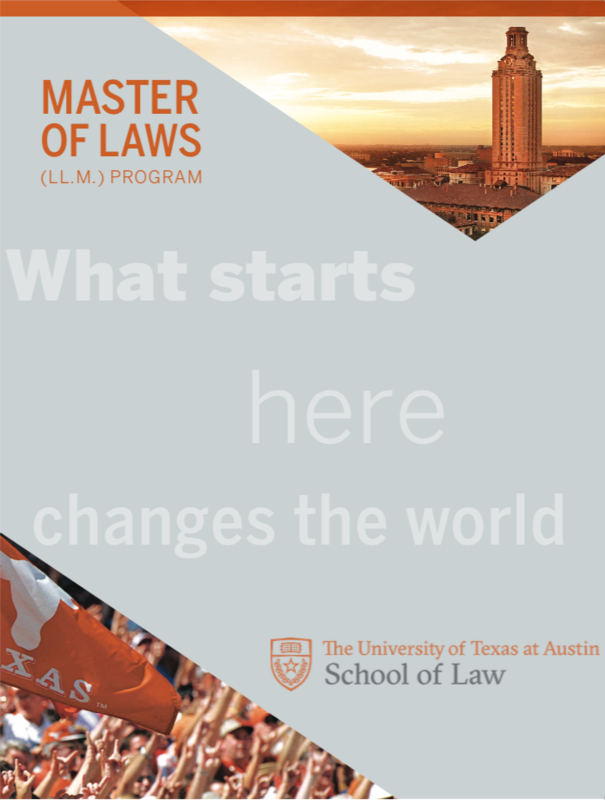 Program requires applicants to have a first degree in law (LL.B. or J.D.). Before submitting an application for admission to the LL.M. Program, applicants should check the Law School Admission Council’s (LSAC) LL.M. Eligibility Chart. This chart includes minimum degree requirements by country. LL.M. applications must be submitted through LSAC. LL.M. applications are available starting on September 1st and due by March 1st for priority consideration. All applicants must register for the LL.M. Credential Assembly Service (LL.M. CAS). Additionally, applicants with a foreign law degree must register for the International Transcript Authentication and Evaluation Service. Applicants with a foreign law degree must also demonstrate English proficiency by taking the TOEFL iBT (internet-based test) or IELTS Academic. TOEFL iBT or IELTS Academic score reports are valid for two years, and scores will be considered expired if the test was taken more than two years prior to the submission of the application. Non-native English speaking LL.M. students who submit a TOEFL iBT or IELTS Academic score receive extended time on exams. Applicants are exempt from submitting a TOEFL iBT or IELTS Academic score if they hold a first degree in law from a university where English is the medium of instruction. These countries include: Australia, Canada (excluding Quebec), Ireland, New Zealand, South Africa (English medium universities), United Kingdom, and United States. An applicant whose first degree in law was taught in English in another country may apply for an exemption from this requirement by submitting an official letter from their law school verifying that English was the medium of instruction. LL.M. students who are exempted from submitting a TOEFL iBT or IELTS Academic score are expected to be fully competent English speakers and are ineligible for extended time on exams. The LL.M. 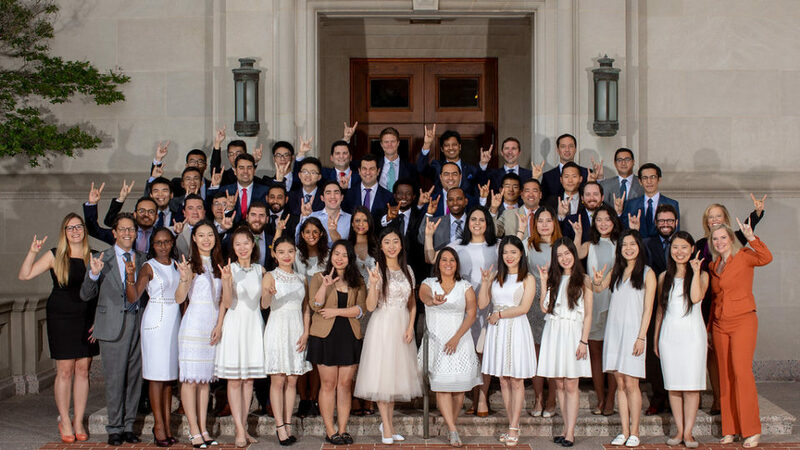 Program at Texas Law is highly selective and currently has a maximum of 50 spots for each incoming class. Applicants must submit the following documents through LSAC. The personal statement is an opportunity for you to present your background, ideas, and qualifications to the Admissions Committee. Please limit your statement to two (2) pages using a minimum of 11-point font, 1-inch margins, and double-spacing. The personal statement is also a chance to give the Admissions Committee a better sense of who you are as a person and as a potential LL.M. student at The University of Texas School of Law. In many instances, applicants have used the personal statement to provide more context on how their experiences and strengths could make them valuable contributors to Texas Law and legal communities, to highlight their intellectual background and interests, or elaborate on other information in their application. Because applicants and their experiences differ, you are the best person to determine the content of your statement. If the official law school transcript and award of degree (diploma) are in a language other than English, English translations are required. Applicants must include all their higher education transcripts and awards of degree. We strongly recommend at least one letter of recommendation come from an academic source. To have your TOEFL score report sent to the LSAC LL.M. Credential Assembly Service, you must have ETS send your TOEFL score to LSAC using the institution code number 8395. Non-native English speaking LL.M. students are encouraged to take the 5-week Academic English Program (AEP) summer course through the University’s International Office to ensure high-quality English language proficiency necessary to succeed in the LL.M. Program. Do not use accent marks or special characters on names and addresses on the online application since our system is unable to recognize them, and this will delay the processing of your application. For example, Mauricio Pajón should be entered as Mauricio Pajon. Münster, Germany should be entered as Munster, Germany. The Admissions Committee is unable to review incomplete applications. Check the status of your Texas Law LL.M. application online at Your Dashboard.